Crafts, pre-reading activities, science experiments, and recipes to be enjoyed among friends. 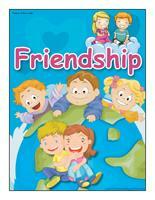 Posters, activity sheets, a picture game, word flashcards, and many other printable documents that celebrate friendship. 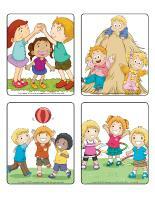 (Open thematic poster-Friendship) Print, laminate, and decorate the walls of your daycare with all kinds of posters. (Open educa-theme-Friendship) Print and laminate. 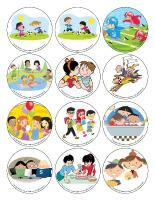 Use the illustrations to present the theme to your group (and their parents) while decorating one area of your daycare. 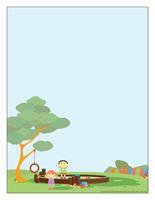 (Open educa-decorate-Friendship) Print, laminate, and cut out. 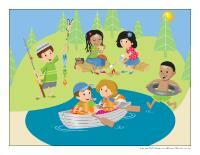 Use the illustrations to decorate the walls of your daycare and set the mood for the theme. (Open garland-Friendship) Print. Let children decorate the garland. 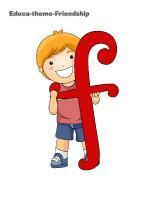 Cut it out and hang it within your daycare or near your daycare entrance. Use pictures of the children in your group to add to your garland. Glue pictures of the children in your group throughout your daycare and hang pictures from the ceiling. You may also include pictures of the children that were taken when they were younger. Help them notice how they have grown. Ask parents to bring one of their child's favorite storybooks from home so their child can share it with your group during the theme. Arrange the books in a miniature library set up for the duration of the theme. This special tool was created in response to a special request received. (Open group identification-Friends) Print. 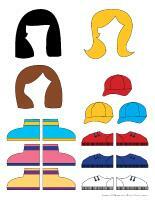 Use the illustrations to decorate your daycare and identify children's belongings. As children arrive, stick a sticker on their sweater, making sure to stick an identical sticker on another child. 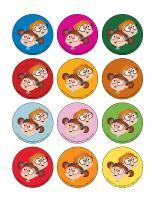 At the beginning of circle time, invite children to find the child wearing the same sticker and to sit with him/her. 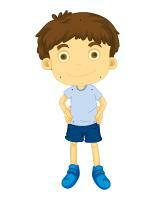 Encourage children to name their best friend and tell you what they particularly like about him/her. Press each child's hands in poster paint and then on a large paper banner to create a friendship chain. Take advantage of any occasion that may arise to help children notice how they are surrounded with many friends. Name the children that are next to them throughout the day. Have children define friendship in their own terms. Write their answers on index cards or pretty paper and display them on a wall near your daycare entrance or cloakroom. The pictures may be used as a memory game or to spark a conversation with your group. Use them to decorate the daycare or a specific thematic corner. (Open picture game-Friendship) Print, laminate, and store in a Ziploc bag or in your thematic bins. 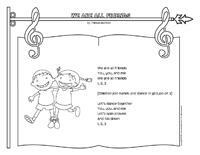 (Open activity sheets-Friendship) Print for each child and follow instructions. 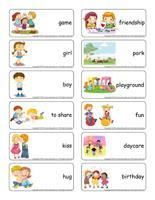 (Open writing activities-F like friendship) Print for each child or laminate for use with a dry-erase marker. (Open stationery-Friendship) Use this thematic stationery to communicate with parents, in your writing area, or to identify your thematic bins. Print. Sort building blocks according to their color, size, kind, etc. Ask other groups or daycares to share or exchange a few toys with your group. Add recycled materials to your area (empty toilet paper rolls, cardboard boxes, etc.). Parents will be happy to collect these for you. Small cubes that can be stacked (used for math in schools). Make your own stimulation bottles with older children. They will be happy to give them to the little ones in your group. Create a collective mural or have children work with a partner to complete various crafts. Provide a limited quantity of tools (scissors, crayons, etc.) and encourage children to share and take turns. Integrate recycled materials provided by families in your various projects. 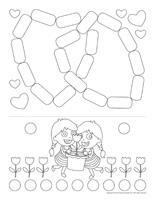 Coloring pages that represent items that must be shared in a daycare setting. Have one child begin a drawing and then pass it along to another child who will continue it, and so on. Offer only one crayon of each color and have children wait for their turn (two crayons for more popular colors). Encourage children to share utensils and aprons with their friends in your kitchen area. Fill a container with a variety of different costumes and clothing items and have children select items and dress up with their friends. You may ask parents to share uniforms from their workplace with your group during the theme. Memory game involving illustrations of items that can be shared within the daycare. Board games with simple rules that children can play with a partner. A single color of modeling dough that must be divided among your group along with scissors and plastic knives that can be shared. Several tiny items that can be sorted, arranged in order, etc. Have each child bring an album filled with pictures of himself/herself. They will enjoy sitting with a friend and showing him/her the pictures. Invite children to bring one or a few storybooks from home for the duration of the theme. Visit your local library with your group and find books about friendship. Explore a variety of parachute games. They always require collaboration and cooperation. Use musical instruments you have on hand to create your very own friendship parade. Organize a friendship talent show. All games that get children moving that don't involve competition. Fill a large container with dry pasta and encourage children to measure, weigh, pour, etc. in groups of two. Fill a large container with water and offer items that float and others that sink. Have children work with a partner to sort the objects. (Open game-This is my spot-Friendship) Print two copies of each illustration. Use adhesive paper to stick one copy of each illustration on the table. Place the second copy in a bag. Children take turns picking an illustration to determine where they must sit at the table. You may also use the illustrations to determine children's naptime spots or their place in the task train. (Open my friendship path) Print, laminate, and secure the illustrations on the floor of your daycare to create a path leading to the areas frequently visited by children throughout the day. The path can lead to the bathroom, the cloakroom, etc. If you prefer, use the illustrations to delimit various areas. (Open lacing-Friendship) Print, laminate, and punch holes around the various models. Give each child a shoelace or string they can thread through the holes. On a large piece of white cardboard, trace a tic-tac-toe grid. (Open tic-tac-toe-Friendship) The boys will replace the X's while the girls will replace the O's. One child uses the X's while the other child uses the O's. Have them take turns placing an X or an O on the grid. The object of the game is to successfully line up three identical symbols. Variation for younger children: Glue several grids on the floor and encourage children to deposit the symbols in the squares. Play music and invite children to walk around your daycare. When the music stops, children must crouch down and close their eyes. Cover one child with a blanket. When you are done, have them open their eyes and identify the child hiding under the blanket. Play musical chairs, but instead of eliminating a child after each round, eliminate a chair. Children will be forced to sit together on the remaining chairs. At the end of the game, they will all have to find a way to sit on the final chair. This is an excellent way to develop cooperation among the children in your group. 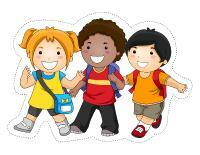 (Open educ-trace-Friendship) Print for each child. 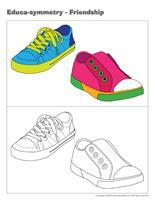 Children must trace the dotted lines using the corresponding colors and then color the objects. (Open educa-symmetry-Friendship) Print. Have children color the bottom picture to make it look exactly like the picture on the top. (Open educ-intruder-Friendship) Print and laminate. Children must find the six items hidden in the scene. (Open magnifying glass game-Friendship) Print and laminate the board game and the cards. Cut out the cards and store them in a box or bag. Children take turns picking a card and searching for the item on the board game using a magnifying glass. Once they have found it, they deposit the card in the corresponding square on the board game. (Open educ-association-Friendship) Print and arrange the pages in a file folder. Children must associate the images. When they have found a match, they must stick the card in the corresponding square using Velcro or adhesive putty. (Open hunt and seek-Friendship) Print and laminate. Children pick a card and search for the item in the scene. (Open puzzles-Friendship) Print, laminate, and cut out. Encourage children to rearrange the pieces to complete the puzzles. (Open educ-same and different-Friendship) Print and laminate. 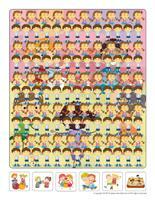 Children must circle the picture that is different in each row. 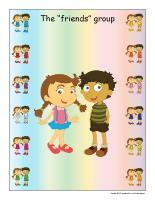 (Open story and memory game-Friendship) Print, cut out, and laminate the cards. Arrange them face down on the floor. Have children pick three cards and invent a story related to the illustrations. 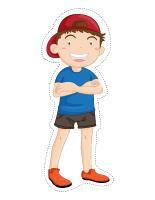 (Open dress-up dolls-Friendship) Print and laminate. Leave the pieces on a table and encourage children to use them to dress the dolls as they wish. (Open frame-My friend and I) Print for each child. Photograph each child with one (or several) friend(s). 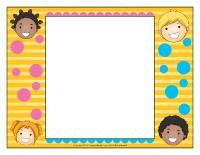 Print the pictures and help children glue their picture in their frame. Invite children to pick a friend's name (or picture) out of a bag. Have them secretly prepare a special drawing for this friend and insert it in an envelope. Write the address of each child's secret friend on his/her envelope and give them a stamp they can stick in the upper right-hand corner. Go for a walk with your group and let each child drop his/her envelope in a mailbox. Children will look forward to receiving a special drawing from their secret friend a few days later. (Open My friend storybook) Print a single copy of the cover page. Print one storybook page for each child in your group. Glue each page on heavy cardboard. 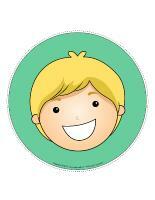 Invite each child to draw, make a special collage, or paint on his/her page. Each page can represent an activity they especially enjoy doing with their daycare friends or one child from your group. When they are done, help them add words to their story along with a few pictures, if desired. Ask parents to provide two pictures of their child. 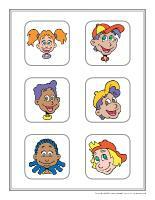 Laminate them and use them to create a personalized memory game for your group. Obviously, complete the game with pictures you have taken of the children in your group if needed. (Open scrapbook-My best friend) Print this page for each child. Help children complete the page and then insert it in their scrapbook. If you wish, you can photograph each child with his/her best friend. Otherwise, have children draw a picture. (Open king's and queen's crown) Print and decorate the crown. Each day, select a child who will be the king or queen of the group. Give this child several different privileges such as being first in line, allowing him/her to take a special toy home overnight, etc. Provide several different necklace beads along with shoelaces, ribbon, or string. Encourage children to make a necklace for a friend or have them work with a partner to create a special necklace. Children can take turns wearing a necklace they made with a partner or, if you prefer, make two necklaces as a team. Invite each child to find a partner. Give each team a flower (white carnations or daisies work best). Cut each flower stem in two lengthwise. Each child chooses a different color of food coloring and adds a few drops to a small glass of water. Help them insert half the stem in one glass and the other half of the stem in the other glass. Observe the flowers throughout the day. Explain how everyone is unique. Encourage children to examine their fingerprints and their friends' fingerprints using a magnifying glass. 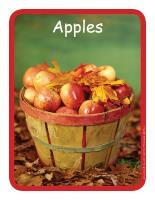 (Open educ-poster-Apples) Print and laminate the posters and use them to present the food item to your group. The posters will make it possible for children to discover different forms of everyday food items. Display them near the table where children eat or in your kitchen area. Roll the cookie dough out to make a giant cookie, the size of a pizza pan. Bake in the oven according to package (or recipe) instructions. This step can be done ahead of time since the giant cookie must be cool to the touch before children can complete their friendship dessert pizza. Have children spread vanilla sauce (pudding) all over the cookie using plastic knives. Encourage them to add slices or pieces of fruit on top. Explain how you must cut the pizza so that you can share it, just like they must share the toys available in the daycare. Serve the dessert pizza as a snack or for dessert. For hygiene reasons, this activity may also be done backwards with younger children. Simply divide the cookie dough to make individual dessert pizzas and let each child decorate his/her own treat. Ask each child to fill a small Ziploc bag with his/her favorite snack item (crackers, dried fruit, cereal, etc.). Once all the children have arrived, set a large bowl on a table and encourage children to empty the contents of their bag in the bowl. Mix well and serve this original snack mix at snack time. Once all the children have eaten, fill their Ziploc bags with any leftover snack mix and let children take it home at the end of the day. Invite each child to bring one fruit from home. Together, cut the fruit to make a colourful fruit salad. If your daycare does not allow children to bring food items from home, offer a selection of fruit and let each child pick one fruit he/she wishes to add to your fruit salad. Prepare sugar cookies with your group. Provide heart-shaped cookie cutters children can use to cut the dough. Enjoy your friendship cookies at snack time. (Open puppets-Friendship) Print the models on heavy cardboard. Have children cut them out and decorate them with a variety of materials. Glue a Popsicle stick behind each model to create puppets. (Open models-Friendship) Print the models and use them for various crafts and activities throughout the theme. Give each child a sheet of construction paper. Have them decorate it with crayons, glitter, pompoms, or other accessories you have on hand. When they are done, use ribbon to join the sheets together to create a mural (wallpaper). Hang your wallpaper on a wall within your daycare. 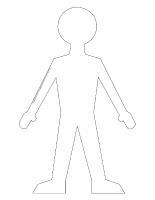 Cut several large pieces of white paper and trace the contour of each child's body. Encourage them to draw and color details to represent themselves or to create a new life-size friend. (Open my friend and I) Print for each child. Children work with a partner and take turns drawing each other on the provided model. When they are done, stick all the drawings together so they look like they are holding hands to create a friendship banner. Paint a tree on a large piece of cardboard and display it on a wall. With your group, press your hands in paint and then on heavy paper. Once the paint is dry, have children cut out their hand prints and stick them on the tree branches to represent leaves. Trace the contour of each child's hand several times on paper. If there are six children in your group, trace each child's hand six times. Ask children to decorate their paper hands, cut them out and stick a pipe cleaner behind each one to create flowers. Each child gives one of his flowers to each of his friends. Children will be happy to take home their friendship bouquet composed of their hand and their friends' hands. Give each child a paper plate. Cut flower petal shapes out of construction paper and have children glue them around their plate to represent a flower. Photograph each child and print the pictures. Each child glues his/her picture in the centre of his/her plate. Explain how, just like flowers, friends are fragile and how, for this reason, it is important to be kind and gentle with them. Hang a large paper banner on a wall and let children paint, color, or glue items on it. The goal is to encourage them to work together as a group. 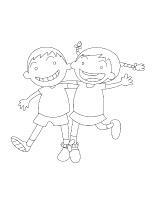 (Open coloring pages theme-Friendship) Print for each child. (Open complete the drawing-Friendship) Print for each child. 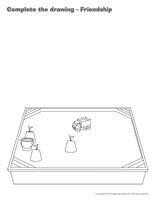 Have children complete the picture by drawing the missing elements. (Open I am learning to draw-A character) Print and laminate the model sheet. Invite children to practice their drawing technique on the model sheet and then let them try to draw a character on their own.